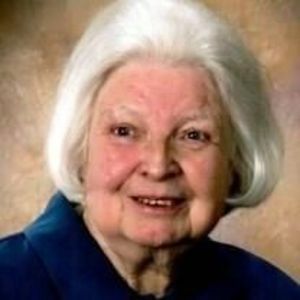 STATESVILLE- Eleanor Roten Hughes, 88, went home to be with her Lord on September 7, 2017. Born June 13, 1929 in Wilkes County, NC, she was the daughter to the late Clyde and Lily Southers Call. She was a member of Landmark Church of God for 50 plus years where she served faithfully. She was a loving and caring mother and "Mamaw". In addition to her parents she is preceded in death by husbands, Ernest Roten and Greer Hughes; son-in-law, Mike Abernathy; one sister and three brothers. Left to cherish her memory are her four children, Paulette (Dean) Marlowe, Calvin B. (Debbie) Roten, Judy (Walter) Steelman, and Annette Abernathy; nine grandchildren; 11 great-grandchildren; three great-great-grandchildren; three sisters; seven brothers and many other loving family members. A celebration of life service will be held Saturday, September 9, 2017 at 3pm at Landmark Church of God. Burial will follow at Iredell Memorial Gardens. Memorials may be made to Landmark Church of God 2200 E Broad St, Statesville, NC 28625or Iredell County Hospice and Palliative Care 2341 Simonton Road, Statesville, NC 28625. Bunch-Johnson Funeral Home is honored to be serving the Roten-Hughes Family.